Last piece, reduced to £8.50 due to a blemish on the surface. 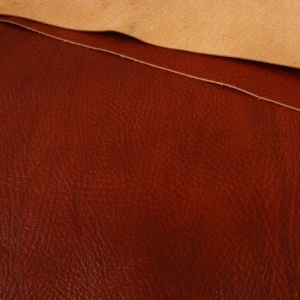 This beautiful cowhide is vegetable tanned using tree bark. It is failry light at 1.2mm thick and has a crease textured surface with rich, translucent colour and a lovely glossy finish which feels as good as it looks! Ideal for soft handbags, purses and wallets. 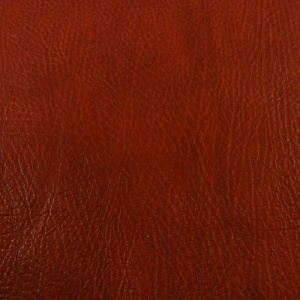 This is an A4 sized rectangle of Chestnut Brown leather.